*We do not currently treat centipede turf. application for new customers is FREE! Lawn care is our business. Fortunately, our locations make it easy for us to provide you with quality service across Georgia and North Carolina. Find the location nearest you to secure quality lawn care or pest control service from a reputable business. All Georgia locations can be reached by dialing (770) 536-7611 or (800) 791-7965. Keep your lawn and landscape healthy and green – the envy of the whole neighborhood. From office buildings to sports turf, our flexible programs keep all properties looking their best. Because of our confidence in our programs and service, we guarantee your satisfaction with each and every application. If you are not completely satisfied with the results of an application, we will reapply the application at no charge or refund the cost of the service. Because of the many variables we must face in dealing with nature, this guarantee does not include plant replacement. 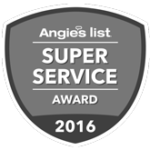 "My service technician Jose H really knows his business and is always very polite and informative when he comes to service my lawn! My grass is beginning to look great after just two rounds." King Green has locations throughout Georgia and North Carolina to serve you. © 2019 King GREEN. All Rights Reserved.